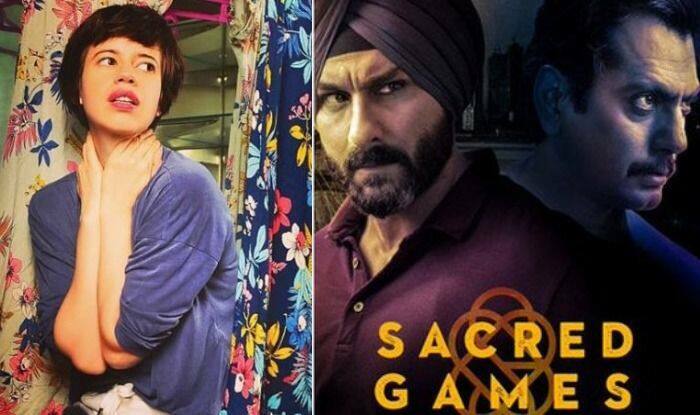 Actor Kalki Koechlin will reportedly join the cast of Sacred Games 2 with Saif Ali Khan, Nawazuddin Siddiqui and Pankaj Tripathi. The first season of Sacred Games starring Saif Ali Khan, Nawazuddin Siddiqui and Pankaj Tripathi received a lot of positive response from the audience and soon the second will be released. Kalki Koechlin will reportedly join the cast of Season 2, which will return this year with a new trail of betrayal, crime, passion and a thrilling chase through Mumbais underbelly. The second season picks up from Sartaj Singh (Saif ) pursuing his relentless battle of saving the city and Ganesh Gaitonde (Nawazuddin) facing bigger challenges to retain his position as the legendary kingpin of Mumbai. The intriguing Guruji (Pankaj), introduced in season one as Gaitonde’s ‘third father’, plays a pivotal role in unfolding a chain of events that shape the next season. Filmmaker Anurag Kashyap will continue directing Ganesh Gaitonde’s track, while director Neeraj Ghaywan will take over Sartaj Singh’s plot. The first season also starred Radhika Apte and Kubbra Sait. Last December, Mirzapur actor Harshita Gaur had confirmed that she had bagged a pivotal role in Sacred Games season two. Actor Jatin Sarna, who made a big impact with a small role as Nawazuddin’s volatile hitman Bunty in Sacred Games, will also be back in Season 2 of the Netflix series, although his character was killed in the first season. “The second season goes into a flashback. My character Bunty is on a wheelchair. So I need to harness and control my natural energy level to play a subdued physically limited character,” Jatin said.